This is a pretty neat update for your old car with a single-DIN head unit chassis. Infotainment systems are among the things that make cars look updated these days. These piece of technology went from the analog type that took up a lot of space inside the cabin to small single DIN type that's as small as a DVD drive. It then evolved back to bigger type, first to double DIN chassis then into much bigger infotainment that features a touchscreen display. These days, some infotainment system, like the MBUX system of Mercedes, even incorporates the gauge clusters with the display touchscreen and stretches across the dashboard. Indeed, infotainment is getting more high-tech, and it's a problem for you if you have an old car and you wanted to update. 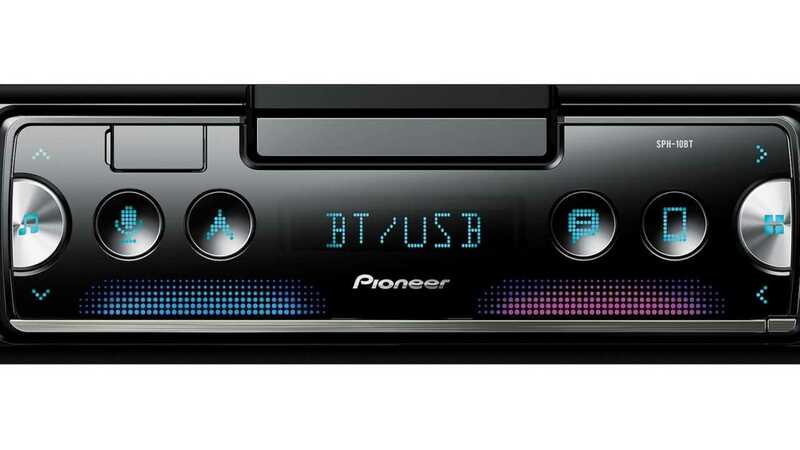 Pioneer has just solved this problem with its latest release – the SPH-10BT. This head unit doesn't come with a huge screen as its touchscreen display. 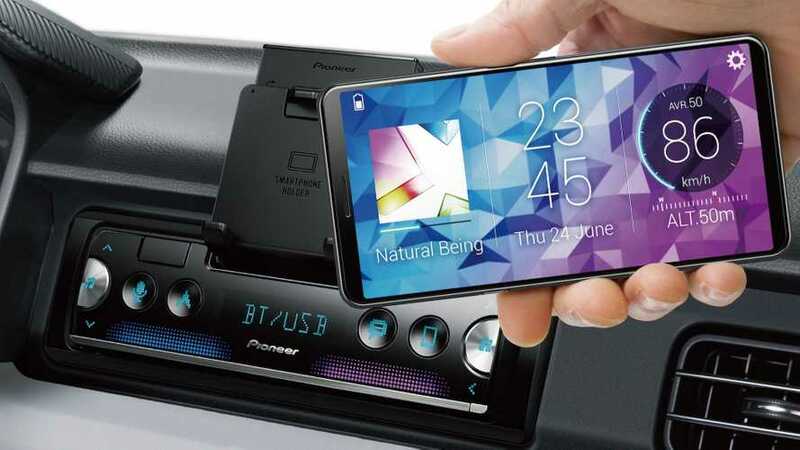 Instead, it comes with a smartphone cradle, which allows you to use your iPhone or Android phone as the display for the head unit. With this setup, the SPH-10BT can retrofit into single-DIN head unit chassis, which are common among old cars. The SPH-10BT uses Bluetooth to link the smartphone with the head unit, eliminating the visually-unappealing dangling wires, unless you need to charge your phone, of course. Available in both portrait and landscape orientation, the smartphone becomes a user-friendly display upon linking. Aside from linking and integration of the smartphone as the display, there's a voice control feature available as well to allow hands-free calls or even read text messages without the need to look or touch the screen. You can also access your smartphone's favorite navigation apps with just a touch of a button. Lastly, the Pioneer SPH-10BT is ready to connect with separate parking sensors so the display and warnings would be routed to the smartphone. That's pretty nifty, right? Now you don't have to let go of your old ride just to upgrade your head unit. If you like what you're seeing here, the SPH-10BT is bound for U.S. availability by February of this year with an expected price tag of $150.